Greetings, a friend is looking to paint a portrait of a man in full armour . I am wondering if there is an on line resource or if people have any pictures of later period portraits of men in armour. Thinking 1400 and later. Looking for ideas for poses, background, lighting, etc. "The Bow brings grief and sorrow to the foeman; armed with Bow may we sudue all regions." 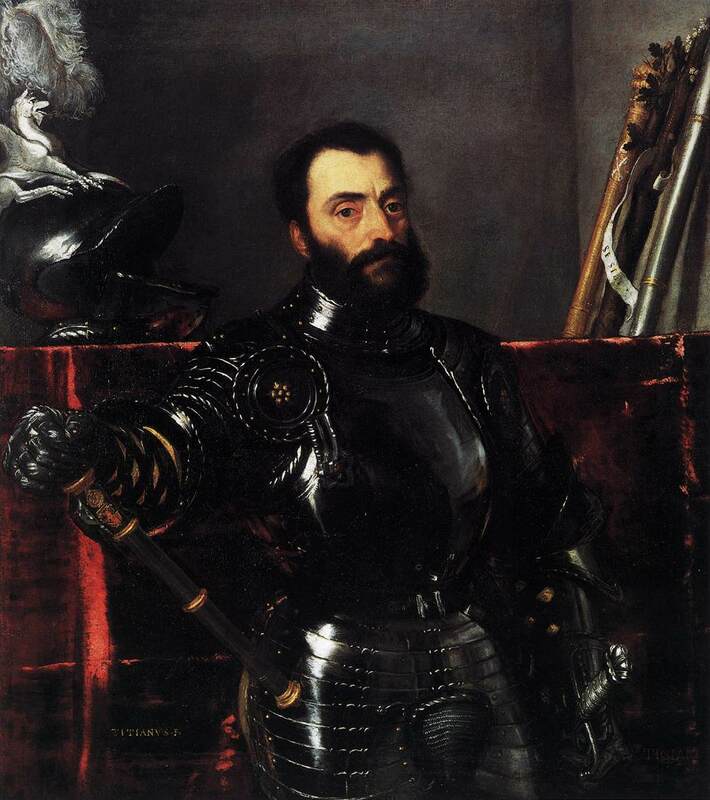 Some artists, like Rubens, did a lot of portraits of men in armour. Christies sold this for £9,001,250 a few years ago. You can narrow your search down to only portrait paintings and specify the time period. Your best bet is going to be the 16th century, that's when most paintings of this style were made, although nobles were having themselves painted in armor all the way into the 18th century. 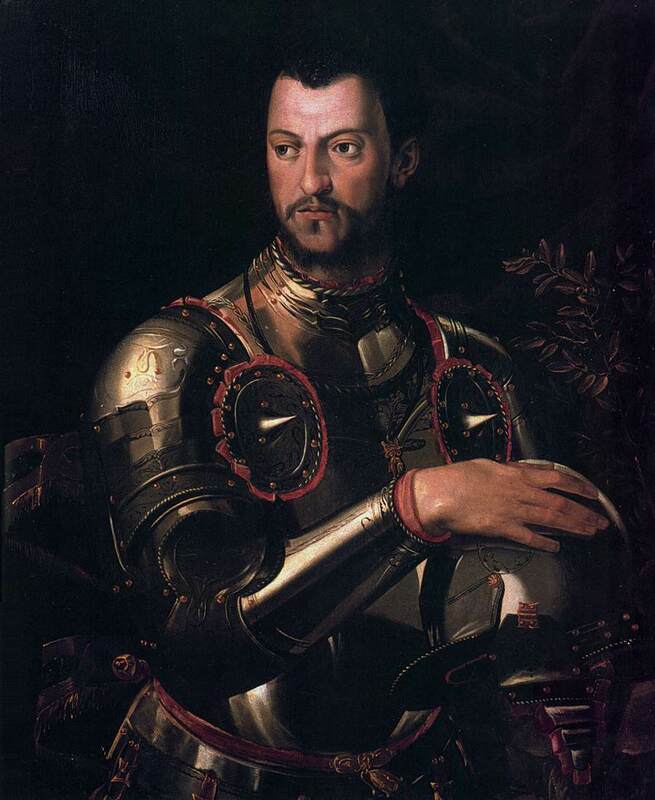 Bronzino Agnolo is a good artist to search for since he did a lot of portaits of men in armor. Some portraits feature intense chirascuro that put all the focus on the subject, while others have lush and detailed backgrounds. The subjects are helmetless, obviously to capture their visage, but the helmet is almost always visible somewhere in the painting because it is an important part of the armor and the subject's martial image. 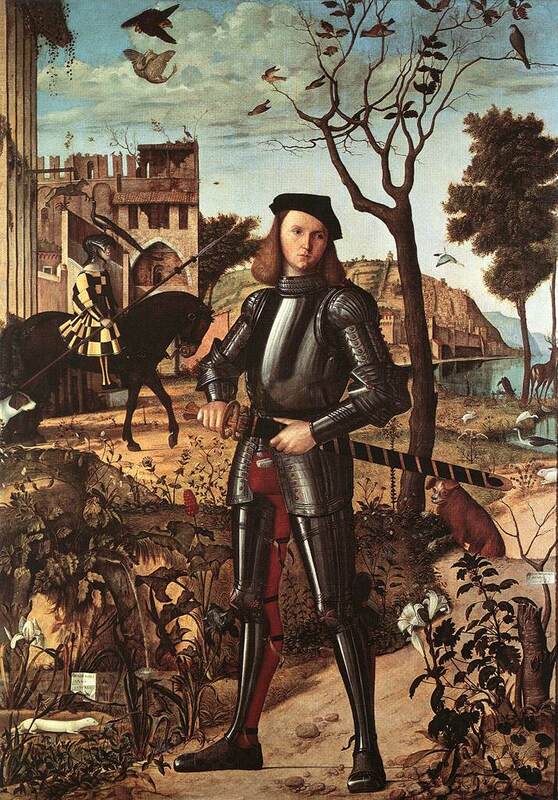 The important thing to remember is everything depicted in these portraits was symbolic, including the armor. The decision to be depicted wearing armor was an important choice that was meant to convey martial heritage and noble status. 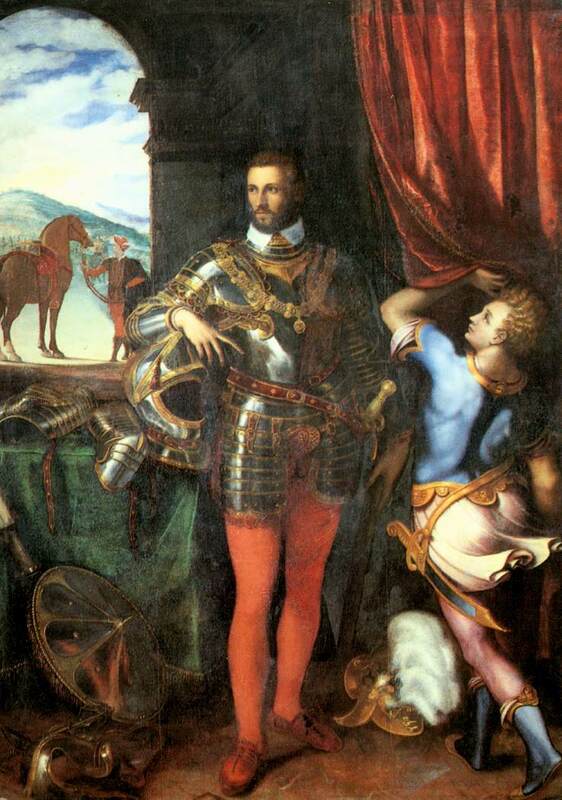 Montefeltro was a successful condottieri so naturally he would want to be depicted in full harness with his sword, helmet, and commander's baton featured prominently. However, Montefeltro apparently wanted to be seen not only as a man of war but also as a man of learning because he is shown reading a book, which also symbolizes the great library he constructed in Urbino. His rich adornments and throne show his wealth and status; specifically the garter of the eponymous Order of the Garter given to him by Edward IV is prominently displayed on his leg. The mitre in the top left was a gift from Sultan Mehmed II. Even the choice to include his son was a calculated one, but I'm not going to get into the details of why I believe that. Suffice to say if your friend wants to make a "true" portrait of a man in armor he should not only mimmick the style and accurately render the shape and texture of the armor, but also carefully analyze what objects and scenery he wants to depict in the portrait and why. Thank you for the resources gentlemen. There is a lot out there. I just didn't know where to look. I hope others will use this info. also.